A Brazilian show that makes one think of Netflix's gangster hit Narco. A Mecanismo is a crime drama loosely based on the investigation into corruption in both private and state oil- and construction companies. Where can you stream O Mecanismo? On 2018-03-23 Crime/Drama TV Series O Mecanismo first aired on Netflix. 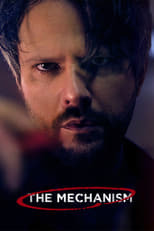 Written and created by José Padilha & Elena Soarez, and produced by Netflix, O Mecanismo will return and was last broadcasted on 2018-03-23.